Today, we take a final look at some of the proposals in CTA&apos;s 1958 publication "New Horizons." Daniel Burnham told Chicagoans to "make no little plans." As we&apos;ve found out, implementing such plans is the tricky part. From Halsted west to Kedzie, the median of the Congress (Eisenhower) Expressway was to have four tracks, the outer pair for the Chicago, Aurora & Elgin interurban railroad. 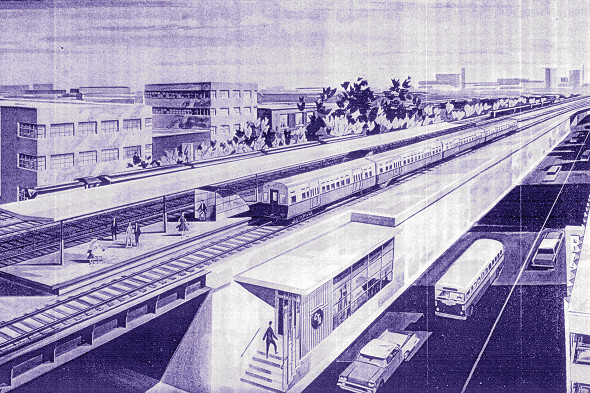 CA&E folded in 1957, so "New Horizons" proposed adding the outer tracks to accommodate CTA express trains. Today the median strip still has only two tracks, and lots of empty space. CTA planned to replace ground-running on the west end of the Douglas Park (Pink) Line with an open cut. The tracks in the cut would be extended west to a new terminal at Harlem Avenue. This is another improvement that was never implemented. 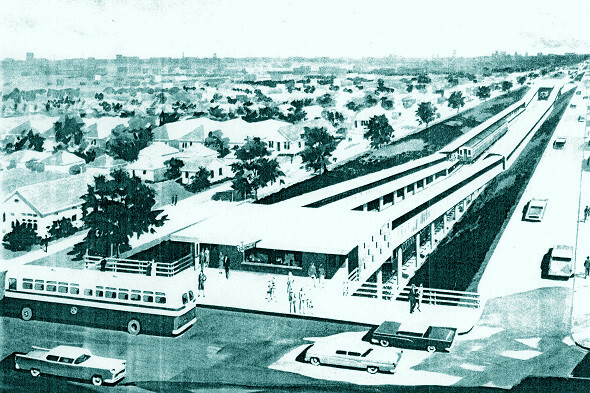 In 1958 Englewood service stopped at Loomis Boulevard. 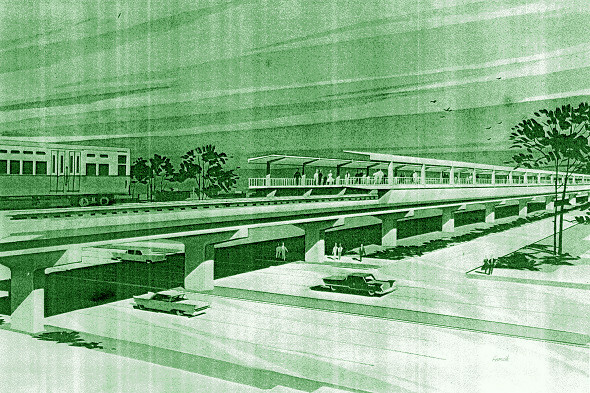 CTA proposed continuing the line west to Midway Airport, using both elevated structure and open cut. The "L" was eventually extended two blocks to its present terminal at Ashland Avenue. The Orange Line now provides access to Midway. Lake Street "L" trains ran at grade-level west of Laramie. 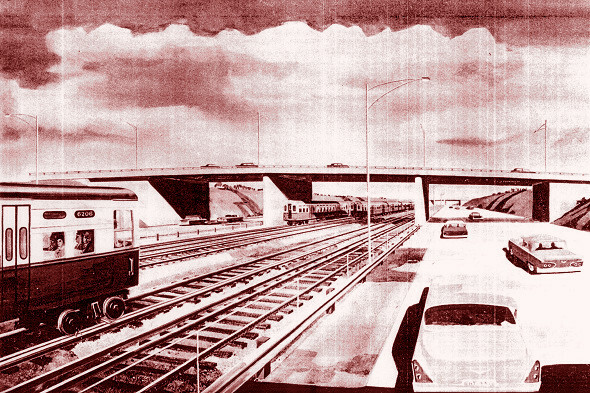 The CTA&apos;s plan was to move its service onto the parallel Chicago & North Western Railroad embankment. This is one of the few "New Horizons" proposals that actually became reality.